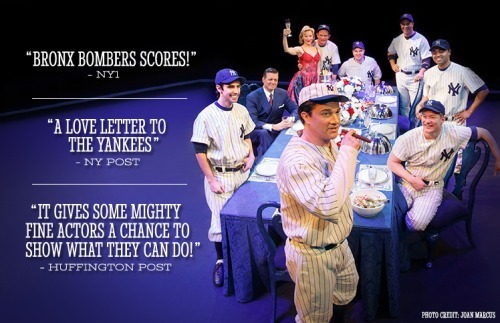 BRONX BOMBERS is a new American play starring Peter Scolari ("Bosom Buddies", "Newhart") as beloved icon Yogi Berra, as we follow Yogi and his wife Carmen through a century of the team's trials and triumphs, bringing generations of Yankee greats together on one stage. As it celebrates and explores the timeless legacy of baseball's most iconic team, BRONX BOMBERS takes a fascinating look at how and why the Yankees have remained so undeniably great... and so powerfully inspirational! "Billy Martin and Reggie Jackson's clash of wills is the stuff of arresting drama; the 1977 Yankees, after all, had a season for the ages ... BRONX BOMBERS arrives as the club's latest era, that of the Core Fore, is on the wane. 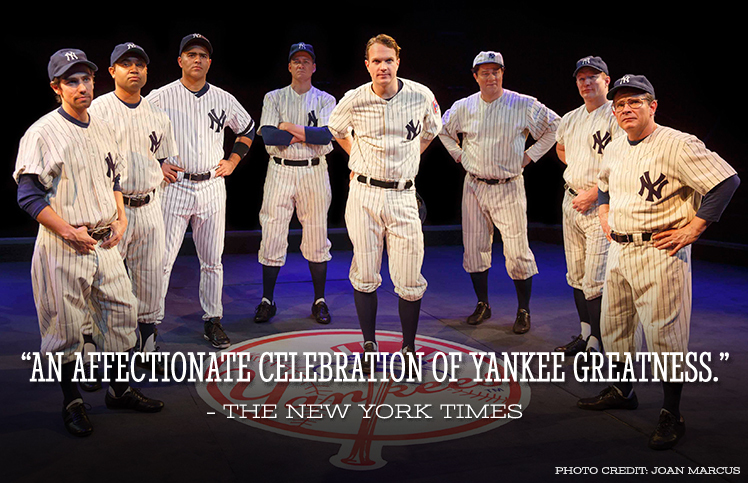 So a reflection on how the Yankees assemble such great teams [is] timely."